An English bulldog puppy's mouth helps it to learn all about its environment by chewing and licking. Unfortunately, your English bulldog puppy might also want to chew on you while exploring, as well. Bulldog mouths are quite powerful--even as puppies--and can inflict harm unintentionally. In order for your English bulldog to become a well-behaved adult, it needs to learn not to bite. Fortunately, there are a few ways in which to teach your bulldog puppy not to bite you or others. Follow the lead of the English bulldog puppy's mother and siblings when they are bitten, suggests the-bulldog.com. When a puppy is bitten too hard by its sibling when playing, it gets up and walks away. If your puppy bites you while playing, do the same. This will teach your English bulldog pup that play stops when it uses its mouth on your skin. Loudly say "ouch" or "ow" when the bulldog puppy bites you. Do not whine or wince, as your puppy may think you are still playing with it. In addition, stop playing with it and avoid interaction, such as petting, talking or even looking at the dog. Your behavior will show the puppy that attention stops when it bites. Give your English bulldog puppy a toy to chew on if it is nipping or pulling at your clothes, states the-bulldog.com. If it continues to display this undesirable behavior, simply walk away. 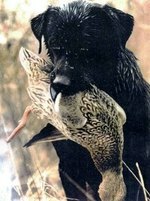 If you are playing with the puppy and its toy, continue the play if it only bites the toy, suggests thereviewdog.com. However, if it starts biting you as well, walk away and avoid interaction. This will teach your puppy it should only bite appropriate objects. Reward your English bulldog puppy's non-biting behavior. When your puppy starts to refrain from biting during situations in which it once did, give it a treat or praise as a reward. In addition, when your puppy plays calmly and doesn't bite, reward it then, as well.